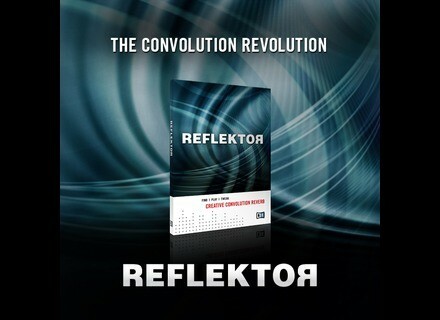 Reflektor, Software convolution reverb from Native Instruments. 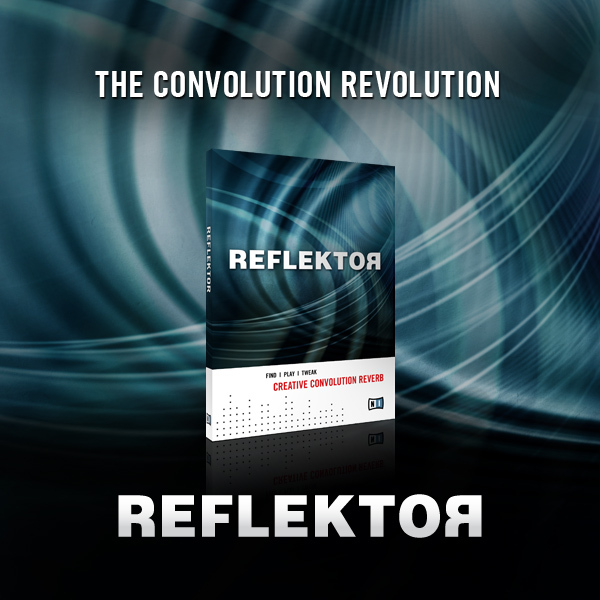 Reflektor represents a convolution reverb based on the Zero Latency Convolution technology developed by Native Instruments. This effect provides reverb ranging from physical rooms to virtual acoustics, offering imodeling parameters for creating spaces. It can emulate the sound of digital reverb units and includes content for creative sound design. Native Instruments' Zero Latency Convolution technology is the basis for REFLEKTOR, the first KOMPLETE Effect powered by the audio engine of GUITAR RIG 4 PRO. "A highly flexible musical tool, REFLEKTOR adds a twist for producers with a sense for advanced techniques, producing anything from aspirated reverbs to far-out effects. The reverse mode offers an adjustable position for leaving early reflections in place. Combined with the dead-easy sync feature, which allows for syncing the pre-delay and decay both of original and reversed IRs. This unique feature is great for creating superb pumping beats or rhythmic effects. In addition, REFLEKTOR gives you full control over depth and pan, as well as stereo width, making this reverb a cut above the competition." Reflektor is available for only $119 / 99 € in the NI Online Shop. Bitley Supersonic ReFill for Reason Six months have passed since the release of the original Fairlight CMI Legacy ReFill, so here comes the new refill, codenamed "Supersonic". CK_Modules Pattern Arp CK_Modules has released Pattern Arp, a MIDI Arpeggiator VST plug-in for Windows. Wusik EVE 3 Wusik has announced the release of version 3.0 of EVE - Electronic Vintage Ensemble (actually v3.0.1 is already available).